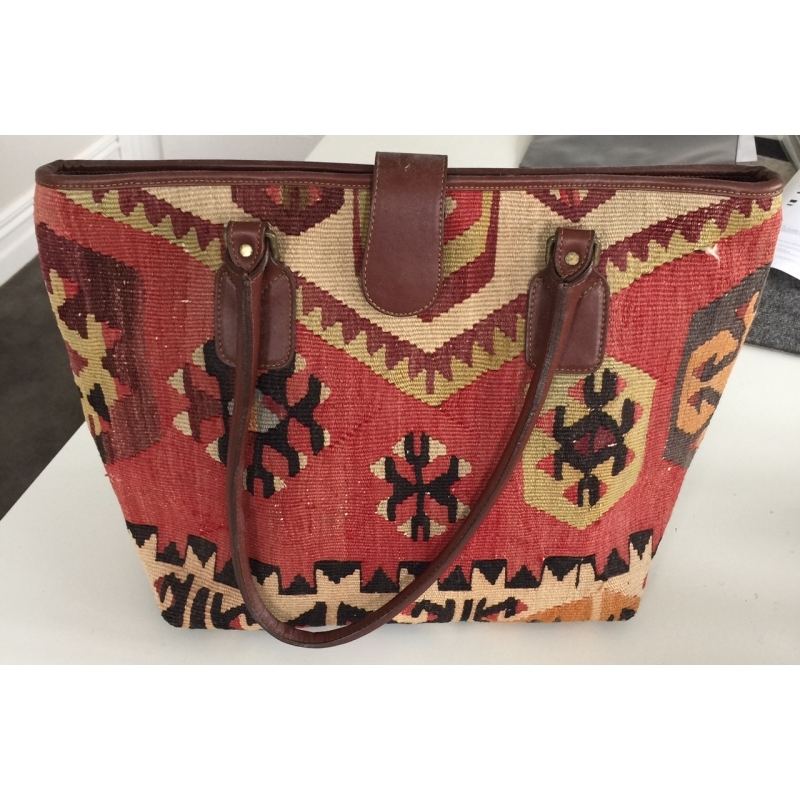 Kilim & leather large shopping bag. Finished to a very high standard, lined and zipped. A great Hold-all.